A new year has begon. And one chocolate has to start the series of reviews of this year. Today, we turn our focus on a bright star in the Belgian Bean-to-bar scene. Chocolatoa, run by Mario Vandeneede. Recently I had the chance to visit his operation in the small village of Ruiselede, Belgium. Fun fact is that I’ve lived in the same village for several years, but Mario only recently moved in. The visit gave me once more a view on the artisan part of small batch chocolate making and deepened my understanding of the chocolate world. Other than most chocolate makers I know personally, Mario has been trained as a classic chocolatier and is deeply rooted in gastronomy. Next to being a chocolate maker, he teaches at the renowned Ter Duinen hotel school in Koksijde. To Mario, chocolate making is a part time activity but still he is dedicated to making the best chocolate possible in his micro batch set up. As to him, the micro batch approach allows him to make better bars. Today, Mario also provides his services to other chocolate brands such as for example Theo & Brom, allowing them to set their products in the market by combining the knowledge and craft of both partners. So today you can run into Chocolatoa in more than one way in the fine chocolate world. The bar Chocolatoa offered me is Mario’s go on Tanzania as an origin. He uses cocoa from the well known Kokoa Kamili cooperation. Africa is still know best as a producer of bulk cocoa with rather uninteresting flavor profiles. Yet this cooperation offers high quality cocoa with a genetic base of Trinitario and a slight presence of Neo Nacional – fine flavor beans. The cooperation buys wet cocoa, meaning the beans aren’t fermented or dried by the farmers who produces them. Kokoa Kamili pays the farmers above the market price and next transforms the cocoa bean by fermenting and drying them using their own strict protocols. This way both the farmers and the cooperation are in a win situation. It is no wonder that Kokoa Kamili is featured in the many fine chocolate makers product lines. So here we go. Time to discover what Mario achieves with this origin. Every bar made by Mario is offered in the same packaging. One of my favorites, as it features a zip lock allowing to seal the package from its surroundings. This keeps the chocolate much longer in pristine condition. The style is simple, yet effective. The Chocolatoa logo, the percentage and origin are displayed. On the back, an short explanation on the origin of the name Chocolatoa, the ingredient list (cocoa beans, sugar and cocoa butter). Simple and effective. It is a no thrills approach on packaging for sure. Inside the pouch, the bar itself. Though being 45g, the bar itself has a nice thickness and shows the same design as all the Chocolatoa bars. A rectangular bar scored in uneven sized pieces. Again, no frills, but looking good. The chocolate has a very nice sheen to it and invites you to break off a piece. Taste: The chocolate has a hard snap. It is surprisingly sweet for an 80% bar. Honey drizzled nuts come to mind, followed by a dash of espresso coffee and lots of chocolate brownie. Next the flavor seems to split up in two streams flowing together. The top note if lush and fruity. Dark berries (blackberry, blueberry, sour cherry) deliver a gentle and lively acidity which opens up the flavor experience. Underneath, a base note formed by a warm flow of chocolate, wood, honey and roasted nuts. Both streams are harmonious and seem to meander on the tongue, without battling for supremacy. 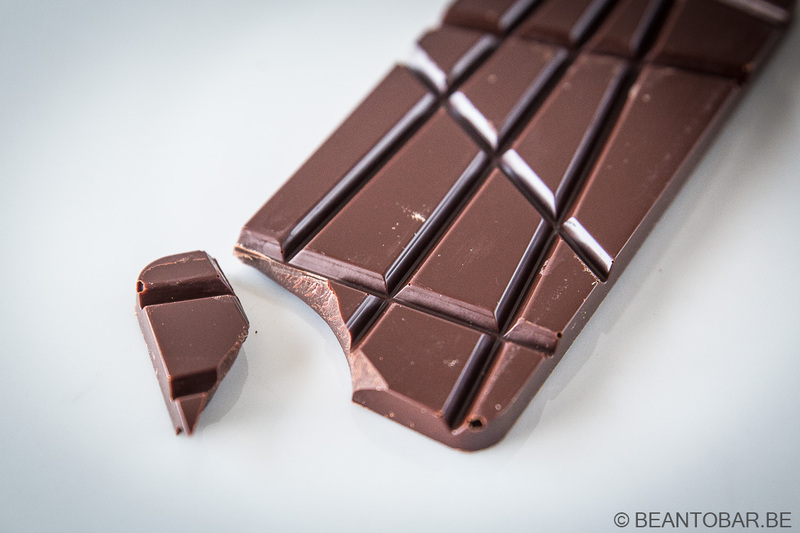 Give this chocolate time and you will discover new tones every time you melt a new piece. Finally, the chocolate dissipates entirely and ends with a light lactic note, before the after flavor kicks in. Roasted nuts in abundance, with slight tannins in the back of the throat. Dryer than the main flavor, it keeps the chocolaty notes alive. The melt of this bar is great. 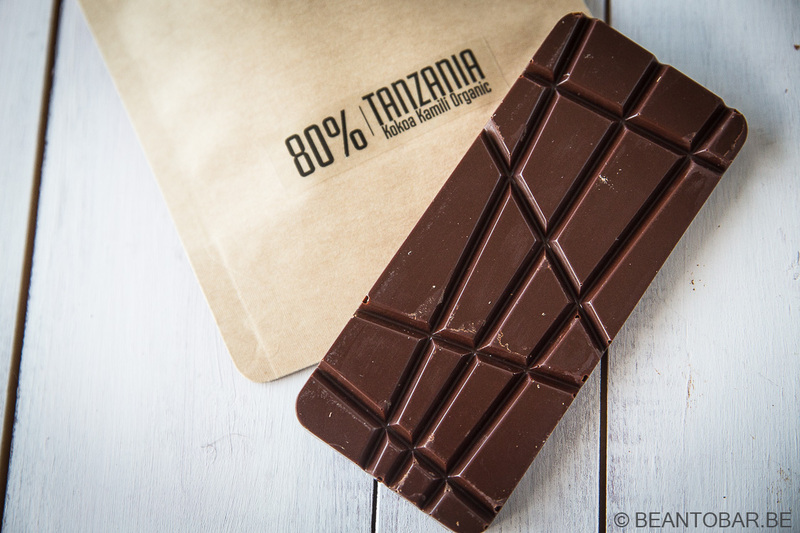 The vibrant and cooling experience on the tongue shows a high percentage of cocoa solids is used. It doesn’t become clingy or filming in the mouth at any time and seems to melt at just the right pace to let you enjoy all the flavors locked inside the chocolate. Extremely tasty in my book! 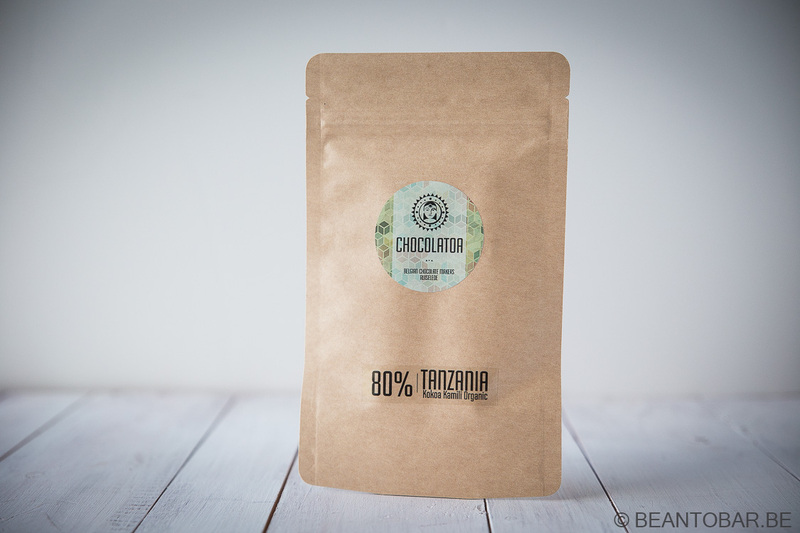 It proves once more that Africa can yield very flavorful cocoa.